For an unforgettable summer dance experience, choose to participate in classes, workshops and intensives being offered at California DanceArts for Summer 2017. 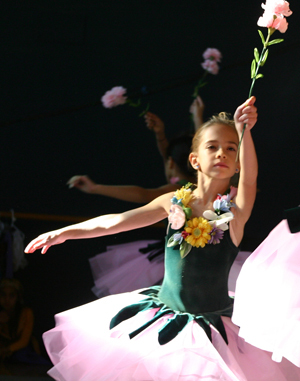 We are pleased to offer a full array of programs for every level and age of dancer. A comprehensive study of Classic and Contemporary Ballet for dedicated pre-professional dancers. The Master Ballet Intensive workshop provides new opportunities, growth and development for students passionate about dance, who wish to have new creative experiences, value discipline and are eager to work with our faculty of internationally renowned guest instructors. Whether you are in need of extra attention to get to the next level in your training or are interested in pursuing a career or enhancing your career, our encouraging faculty and renowned teachers specialize in helping you gain technical improvement and performance artistry. Work closely with renowned Artistic Director, Aerin Holt, Master Teacher Lynn Pittenger, and guests. Extensive study in Classic and Contemporary Ballet and more! Visit to beautiful sunny California! 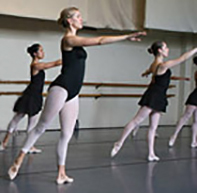 Curriculum is based on the principles and premiere instruction offered at California DanceArts in Classical & Contemporary Ballet with specific instruction (at appropriate level) in Turns, Jumps, Pointe, Variations, Pas de duex and supplementary training in Conditioning and MPT (Placement Technique) and Pilates. Also offering Modern Dance and Dance Essentials for picking up choreography faster, improvisation, musicality and performance skills. Students will get an introduction to Aerial Ballet! 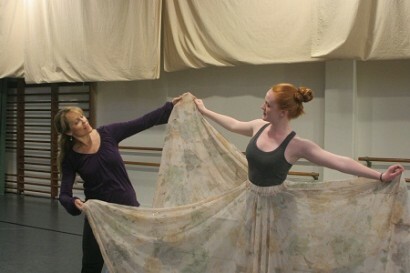 Learn to fly and dance in the air, using silk scarves! Aerin Holt will be developing new choreography specifically for intensive participants which will premier at the end of the workshop! Enroll Now! Program fills up fast! For young students who are passionate about dance and who wish to rapidly improve their skills, we offer an intensive program designed to challenge developing dancers in a nurturing environment. California DanceArts provides one of the few intensive studies of this kind and caliber for younger dancers. With only 8-12 students accepted into the program, each student will receive personalized attention, ensuring that students understand the concepts and instructions that are given. Featuring the curriculum and methods which have establishes California DanceArts as a premier academy of dancing, our expert instructors from our faculty provide young talented dancers with the highest caliber training and skills needed to achieve their dreams. Core training in Ballet with experience in supportive dance styles. Includes Ballet, MPT Placement Technique), Pre-Pointe prep, Jazz dance, Modern, Stretch Class, Choreography. Limited class size. Only 8-12 students allows for personalized attention ensuring students understand concepts and instructions. Dance Essentials™. Taught for picking up choreography faster, improvisation, musicality, performance skills, and more..
Creative methods! Keep students excited about learning.. Appropriate for students at or moving into the California DanceArts Intermediate level 2+ with an approximate age of students 9-12 yrs old who have already received several years of training. We may make some exception for talented students that are younger or in Level 1. Students should be pre-Pointe or may be nearing Pointe placement. Students younger or older than the recommended age may audition when at appropriate training level. At audition class, we will provide dancers with alternate summer recommendations or potential acceptance into this unique program. Audition class for the Young Dancers Intensive will be held at California DanceArts Saturday, March 11, at 11:30am. Register Now while spaces in our program last! Our most popular program! Information for 2017 coming soon! Learn the skills that make shows like Cirque du Soleil the most popular in the world! 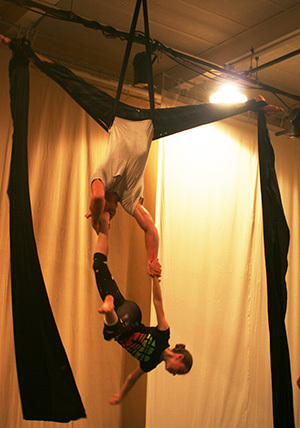 Experience a workshop of Aerial Scarves, Hoop, Hammock, and more! This exciting summer camp offers everything you need to go "Circus Bound!" Learn aerial apparatus and tumbling while improving coordination, grace, confidence and presence with performance specific dance classes. * Aerial Silk * Lyra * AcroDance (Tumbling and Dance Movement * Performance Dance Essentials * Conditioning * Guest Artists and Field Trips! Utilizing our unique facilities, CDA is the only school for Circus Arts in the La Cañada-Flintridge area. *Additional costs apply. Acceptance to this field trip is determined by student skill level. See the website for upcoming details on our CirqueArts Camp! Congratulations to Harry Peterson, (CDA student level 4, age 15) who has been accepted into the American Ballet Theater (ABT) and School of American Ballet’s (SAB) advanced summer ballet programs 2017 in New York City. Harry was offered partial scholarship for both programs. He has chosen to attend the program at SAB. Out of 2,000 students that audition each year, less than 200 are invited to attend the five weeks summer program. Only the most naturally balletic and dedicated earn these few coveted spots. Of all the summer students that attend the program, SAB will offer only four places in their year round school with opportunity to eventually be selected to the company of New York City Ballet. Of course Harry would like to be one of these selected students. We wish him great success! Since he was three years old, Harry has been studying ballet and dreaming of a career in dance. He is most thankful for the training and guidance that he has been receiving at California DanceArts from all of his teachers. Try out new styles of dancing and make improvements with year-round training to become a Dance Dynamo! Each 2 hour camp day features ballet classes with alternating Jazz, Contemporary,Tap dance or Creative dance based on student interest. Great for students wishing to graduate from Primary Ballet with approx age at 6-8 years. Click here for program info. Our child Cinderellas, Sugar Plums, princesses & princes will quickly develop creative abilities, learn basic ballet skills and will enjoy this magical experience that revolves around theatrical story telling and student reenactment of a fairy tale or ballet. Exclusively for children 3-7 years of age who are not quite ready for a full day of camp. Open to intermediate and advanced dancers, we feature a new guest teacher each Saturday. Admission for the Spotlight Master Classes are included with enrollment in the California DanceArts Pre-Professional Intensive. See website for schedule of classes & times. Inquire about our Adult Program summer dates. Enjoy a variety of dance classes for Adults, Teens and Children featuring classes in Hip-hop, Jazz Dance or Classical ballet. Beginners welcome! Students may enroll in one to four classes per week, or dance endlessly with unlimited classes. Intermediate and advanced level ballet and jazz dancers can enjoy our guest teachers for Master Classes delivered on Saturdays. Pre-paid class cards are available for adults who wish to take advantage of our open level classes. For further detailed descriptions of each class, click here. for descriptions and rates for all of our Summer Program offerings. for a registration appointment or for further assistance. LOS ANGELES, CA: There is much excitement at California DanceArts where auditions for roles have been cast and rehearsals are already under way for a new ballet. The school, nestled in the foothills of La Cañada, California, is the residence of California Contemporary Ballet (http://www.CalBallet.com/). The dance company is preparing to launch one of its grandest full-scale ballets kicking off the winter holidays—The Legend of Jack Frost premiering December 20 and 21 at 2:00pm at Glendale Community College Theater. The company is best known for its successful signature ballet, The Snow Queen, based on the beloved fairytale by Hans Christian Andersen. Until this year, the Snow Queen Ballet has been performed by the company annually for the past 16 years to sold-out audiences in Glendale. Now, the company is giving birth to a new original ballet, The Legend of Jack Frost. A ballet production about Jack Frost is a unique idea for a small company that strives to make its mark by producing original, fully orchestrated and full-scale productions. 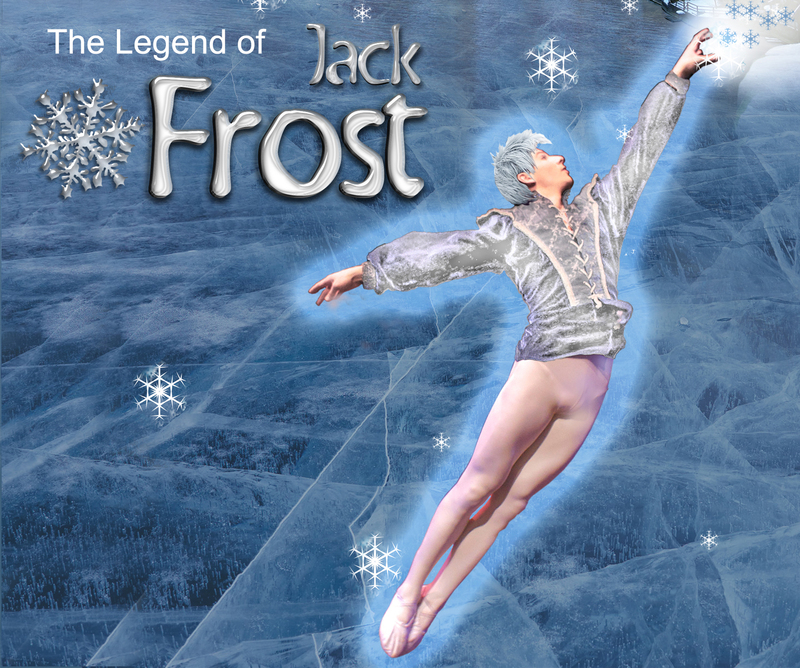 Jack Frost has made guest appearances in numerous ballets, stories and movies. With a few exceptions, he is usually seen in cameo or supporting roles. The Frost character was recently featured in the popular children’s animated movie “The Rise of the Guardians”. Holt is attempting to give Frost not only his own moment in the spotlight but also the opportunity to tell his own story. Holt began by researching and examining various folklore stories about Jack Frost. “He is often seen as a spirit or as a mischievous elfish pixie or imp. Some legends and old sketches depict him more as a giant and a hero. Our Jack Frost is a combination of many of these myths and legends”, Holt explained. The new ballet focuses on Jack Frost as the protagonist who will take center stage of the mythical Frosty underworld and who is invisible to human kind. The role of Jack Frost is performed by Nicholas Zerman from Los Angeles. Jaclyn Stryker, a professional dancer from La Crescenta, performs the role of his human love interest. The ballet is performed by a cast of pre-professional youth supporting a company of professional career dancers who will command the principal roles. Professional dancer and aerialist, Alyssa Thompson from Canyon Country, will perform as The Phoenix, who will fly and perform on an aerial hoop. A guest appearance by her majesty, the Snow Queen, will be danced by professional ballerina Natalie Grina, from North Hollywood, giving a nice nod to the Company’s previous Snow Queen Ballet while positioning Jack Frost as a prequel in the Company’s Snow Queen saga. Fire Dancers attempt to melt Jack Frost in a scene with professional dancer Daniel Tran, from Los Angeles, who performs the role of The Dragon and who is soundly defeated by Jack in battle. The fight takes place in order to save the village full of good folk. The ballet is performed with originally designed and handmade costumes. Details such as trim on the skirts and buttons on jackets will be done last minute while the ballet is produced with little time left to spare. “Creating our own version of all the characters with costumes that the dancers feel comfortable in and allow them to move freely, along with getting everything done on time is always our challenge”, say costumers, Christine Morrison and Nancy Scott. The two costume designers have been making costumes for the company for the past 15 years, “We love the company and all of the dancers”. The Legend of Jack Frost, a frosty wintertime fantasy, will premier in celebration of Winter Solstice which falls directly on the days of the performance, December 20 & 21st at 2:00pm. 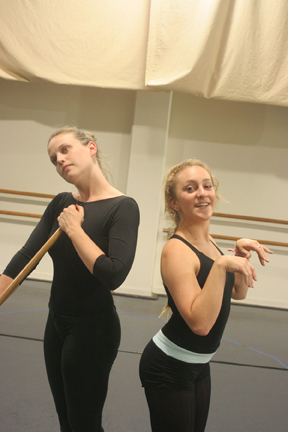 Fun for the entire family, the ballet will be performed at Glendale Community College Theater. Advanced Reserved Seating Tickets are $20 and $25 at http://www.CalBallet.com. At the door tickets $25 & $30. Tickets are also sold by calling 818-583-7406. Los Angeles, CA–You would never suspect that the black and chrome Harley-Davidson Softail Deuce parked in front of California Contemporary Ballet (http://www.CalBallet.com) in La Canada, would belong to the composer of a new ballet. When Dwight Bernard Mikkelsen, of Lakeview Terrace, walks into a rehearsal with long hair, tattoos, an earring, jeans, leather boots and a denim vest covered with patches, he looks oddly out of place among the leotard clad, leggy ballerinas. California Contemporary Ballet and its Artistic Director, Aerin Holt, enlisted Mikkelsen to compose this ballet which debuted in June 2013. The story of Thumbelina by Hans Christian Andersen was one of Holt’s favorite fairy tales. “I have always dreamed of creating a ballet from the story”, says Holt. Since its sold-out premier in 2013, the company has been buzzing about whether the ballet would be seen again. But after the show’s success last spring and constant requests for the ballet to return, Holt was persuaded to present the ballet for a second time this June. Ms. Jaclyn Stryker, a resident of La Crescenta, is returning to the starring role as the tiny fairy, Thumbelina. Ms. Stryker, a professional dancer who has enjoyed roles with companies locally and in San Francisco, honed her technical skills as Holt’s remarkably gifted dance student. Jaclyn is now one of California Contemporary Ballet’s leading performers. Ms. Stryker will be on stage throughout the entire ballet, as she encounters both friend and foe, based on the story’s characters. Ms. Stryker will face a toad who steals her away to a swamp, and a swarm of nasty beetles. She meets a match-making mouse performed by Julia Houser, a La Canada resident and graduating senior at Flintridge Sacred Heart Academy. She also meets a spider that performs high in the air on an aerial net, performed by professional dancer Alyssa Thompson from Canyon Country. Finally, she will dance with a Swallow, performed by Kelinda White of Los Angeles, who whisks her through the air to a handsome Prince, performed by Nicholas Zerman of Altadena. The ballet begins with a witch, performed by dancer Tina Yedgarian of Glendale, and ends with the Vale of the Fairies created by collaborating choreographer, Lynn Bryson Pittenger of North Hollywood. As a young dancer, Pittenger was personally selected by George Balanchine to join the ranks of New York City Ballet where her professional career began. Pittenger clearly helps to deliver the final message of the ballet where soloist ballerinas, dubbed the “Fairies of Good Character,” represent the qualities which Thumbelina calls upon from within, as she is forced to confront and ward off adversity. And by doing so, Thumbelina earns her acceptance into the fairy kingdom. 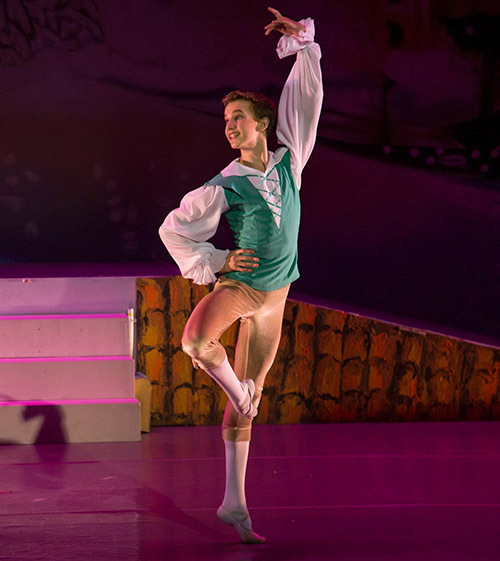 Throughout the ballet, Mikkelsen’s music creates themes for each character. “He is brilliant at expressing the emotion required for ballet characters. What I attempt to do with movement, he does with music to help the dancers create their roles”, says Holt. In addition to the music, choreography and characters, the ballet features large sets created to maintain a tiny fairy-like perspective. This includes 12-foot-high flowers, 5-foot-high toadstools, and the large tulip from which Thumbelina is born. The tulip operates by means of a hydraulic system, enabling its petals to open at the appropriate moment. To boot, these large sets were offered as a donation, giving Holt the impetus needed to go forward with her production and demonstrating that a tiny fairy can make a big show! With a melding of contemporary dance, classical ballet and aerial arts, this ballet is a sure springtime bet for the entire family. 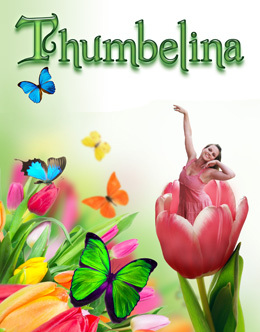 Thumbelina by California Contemporary Ballet premieres at Glendale Community College (1500 N. Verdugo Road, Glendale, California) on June 27th at 7:30pm, June 28th at 2pm and June 29th at 2pm. Tickets are $20-$30 at www.CalBallet.com Group ticket prices are also available. Call 818-583-7406. For Mikkelsen, a professional composer for films and many classical artists, creating the musical score for Thumbelina required his creative energies for five months. He composed the music for a fairly traditional orchestra: 9 Woodwinds, 11 Brass, 3 Percussionists, Timpani, 2 Harps and a large String section. Mikkelsen says, “Of all possible venues, ballet is my preference. And working with Aerin makes it even more delightful. Her realizations are always surprising, yet when I look back, they appear inevitable and perfect. Then there are the CCB dancers! My, oh my! They are, one for one, light, lithe, strong and committed, and their characters are always wholly convincing." LOS ANGELES, CA: California Contemporary Ballet, (http://www.calballet.com) a professional dance theatre group in Los Angeles, recently held an event announcing the company’s upcoming production of Thumbelina, as well as celebrating local art featuring several prominent artists. The event helped raise funds for the company’s summer production of Thumbelina, an original ballet adaptation of the classic tale. The evening was hosted by Aerin Holt, California Contemporary Ballet’s Artistic Director and Choreographer. The celebration featured several local artists, including Anne Tryba, Dwight Mikkelsen and Samson Chan. Ceramic artist, Anne Tryba, a Disney Imagineer of 20 years and manager of Imagineering Graphic Design for 7 years, attended the event and donated a flower sculpture as a door prize. Ms. Tryba also created one-of-a-kind Thumbelina statuettes specifically for the fundraiser. Dwight Mikkelsen, a classical composer whose music has been performed by groups such as the LA Philharmonic, the Pittsburgh Pops and the Vienna Opera Orchestra, wrote the original score for Thumbelina. Mr. Mikkelsen was present to sign copies of the CD and spoke about the creation of the music for the ballet. Samson Chan, 8-time Emmy award-winning cinemaphotographer and California Contemporary Ballet’s official photographer for last year’s production of Thumbelina, contributed signed photographs of the production as donation awards. The CCB costume designers, Mrs. Christine Morrison and Mrs. Nancy Scott, gave a presentation of the costumes for the upcoming production, describing the creative process involved in hand-making the outfits for each character. Finally, the California Contemporary Ballet gave a performance of several dances from their repertoire. California Contemporary Ballet, a professional dance company, together with its youth division, California Contemporary Youth Ballet, perform throughout Southern California. Twice a year, for their summer production and their annual winter production of “The Snow Queen”, they put together an artfully integrated cast of professional dancers in principal roles, and chorus roles filled by youth dancers, actors and gymnasts from around Los Angeles, including the local foothill communities of Sunland/Tujunga and La Crescenta, La Cañada, Pasadena, Glendale and Burbank. “Thumbelina” by California Contemporary Ballet (Los Angeles) will be performed at Glendale Community College (1500 N. Verdugo Road, Glendale, CA) on June 27th at 7:30 PM, and on June 28th and 29th at 2:00 PM. Tickets are $20–$30 at http://www.CalBallet.com/upcoming-performances. Group tickets are also available. 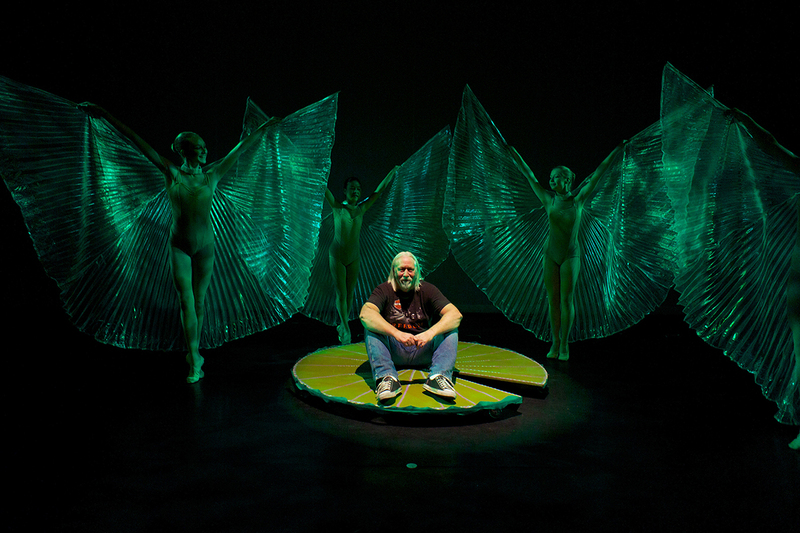 La Canada, CA — Kurt Bowker, a New Mexico artist and owner of Advanced Concept Group, has created several large set pieces for the upcoming premiere of California Contemporary Ballet's (http://www.CalBallet.com) new springtime production “Thumbelina” on June 29 and 30. And he will be displaying beautiful, functional display art in the lobby after the show. With the use of a huge trailer, Kurt Bowker is packing up 10ft metal flowers and 5ft metal toadstools that will be featured onstage in the ballet, along with several works he also has prepared for display and sale in the lobby at Glendale Community College Theater, June 29 & 30. He will also pack up his four year old daughter, Kyrah, who will appear in the ballet as a Dew Drop. They will travel from Moriarty, New Mexico where Mr. Bowker lives on a large horse ranch and will arrive in La Canada this week. The performance of “Thumbelina” will be filled with his colorful flowers. Adapted from the classic fairy tale by Hans Christian Andersen, this new ballet will tell the story of the thumb size girl, Thumbelina, who is born from a tulip and undergoes various adventures in her quest for love. Set pieces are designed large in order to make the cast appear small, and will include beautiful flowers & toadstools made of painted sheet metal. Mr. Bowker has also built the large metal Tulip that will open (with use of hydraulics) to reveal the tiny Thumbelina (aka, Jaclyn Stryker who will perform the role). He notes, “The upside of using sets made of metal is that Thumbelina will be able to slide down a flower petal to get to the dance floor and some of the fairies will be able to sit on leaves of the tall flowers.” Mr. Bowker is as excited as anyone to see his creations on stage with the dancers. Once Bowker delivers these giant beauties his work won’t be done as he directs the crew on the use of the sets backstage during the show. For more information about Kurt Browker and his company, visit http://advanceconceptgroup.com/ His sheet metal sculptures will be on display at the premiere of “Thumbelina” by California Contemporary Ballet, which will be at Glendale Community College (1500 N. Verdugo Road, Glendale, CA) on June 29th at 7:30 PM, and on June 30th at 2:00 PM. Tickets are $20–$30 at http://www.CalBallet.com/tickets. Group tickets are also available. Drawing from more than 20 years experience as a graphic designer for Walt Disney Imagineering, Anne Tryba has had a passionate focus on clay forms for the last decade. The fruits—or the “flowers”—of her work will be available for viewing and for purchase at the opening performance of “Thumbelina,” coming at the end of this month. 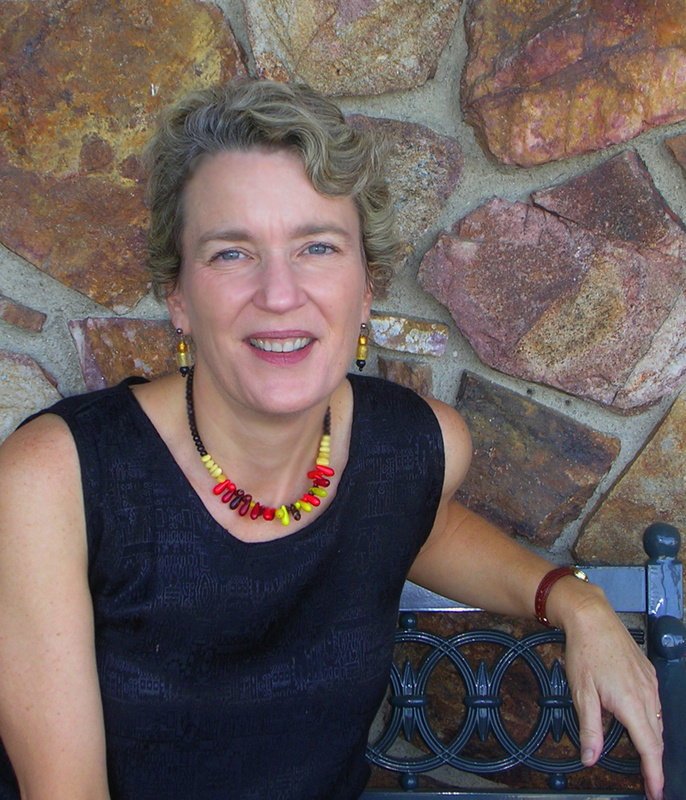 For more information about Anne Tryba and her artwork, visit http://www.annetryba.com/. 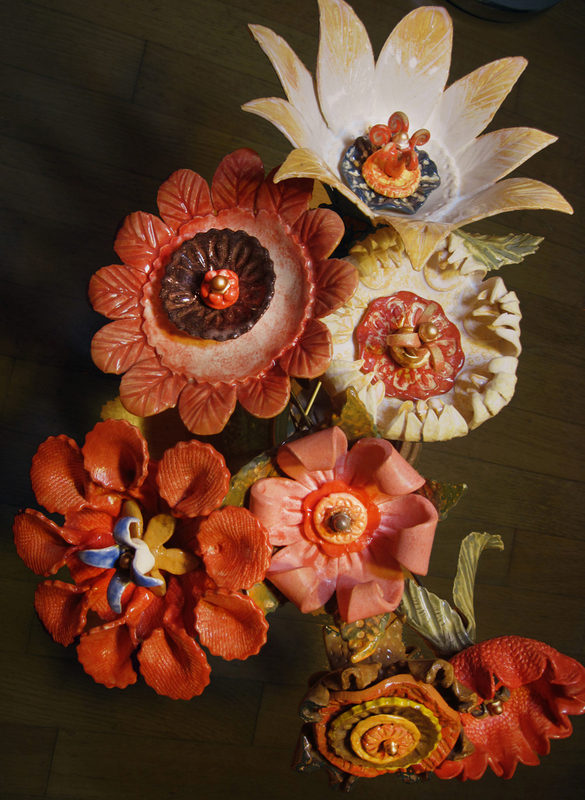 Her floral ceramic sculptures will be on display at the premiere of “Thumbelina” by California Contemporary Ballet, which will be at Glendale Community College (1500 N. Verdugo Road, Glendale, CA) on June 29th at 7:30 PM, and on June 30th at 2:00 PM. Tickets are $20–$30 at http://www.CalBallet.com. Group tickets are also available. If the heart of a ballet is the music, the lifeblood are the dancers. We take some time to have a chat with composer Dwight Mikkelsen and dancer Jaclyn Stryker to get an inside look on the people behind California Contemporary Ballet’s Thumbelina. “I like classical music. That’s the first music I ever started writing and I’ve never stopped and I keep doing and doing it,” says Mikkelsen. “I’m also a writer. I have a book that’s coming out in July, in the middle of July,” he adds. Mikkelsen’s book is called Freedom’s Rush and it’s about his travels throughout the Western half of the United States on a motorcycle. But making music is who he is. Mikkelsen has been working with Aerin Holt, the Company’s Artistic Director, since “I think two or three years ago,” says Mikkelsen. The dynamic between Holt and Mikkelsen is one brought on by years of friendship, and is evident in how the two work together. “If she has an idea, it’s clear when she can let me take off with it. And sometimes I’m not quite sure about something and so I just let Erin take off with it,” says Mikkelsen. With the Company’s latest production, Thumbelina, Mikkelsen says his job is to write and record the music. “I decided on an orchestra; 9 woodwinds, 11 brass, 2 percussions, and 2 harps and strings. So I just kept it with that, and it’s been a bit of a challenge not having a piano but honestly, piano doesn’t really belong in an orchestra,” he says. Mikkelsen is handling both the writing/composing and recording aspects of the ballet, and as a result, he isn’t getting much sleep. But that doesn’t mean he doesn’t love what he does. “It’s just the nature of that kind of work when you’re orchestrating, arranging and even copying, it’s always last minute. you’re merely totally restless when you do something. That’s part of the gig. If sleep is that important to you, you need to find another line of work,” says Mikkelsen. “I like to have fun, I just like to have a good time, that’s why we’re doing it and having a good time doing it. Sometimes you have a good time playing pool and drinking beer and then when you get to work it’s sort of boring. I like to have fun doing the music, that’s what I like to do,” adds Mikkelsen. Jaclyn Stryker is the lead dancer in Thumbelina. To appreciate the art, sometimes it’s necessary to understand the artist. After getting a bachelor’s degree for Fine Arts and Dance at UC Santa Barbara, Stryker returned to join Holt and California Contemporary Ballet, dancing with the company for two years until she “moved up to San Francisco and danced professionally with Mark Foehringer Dance Project and Napoles Ballet Theater,” says Stryker. Mikkelsen and Stryker have their own views about the production of course, with one looking at things from a musician’s standpoint while the other as a dancer. Thumbelina will be performed at Glendale Community College at 1500 N. Verdugo Road, Glendale and show dates will be on June 29th at 7:30 pm, and June 30th at 2:00 pm. Tickets are available at $20 to $30 and can be purchased at www.calballet.com. Group tickets are also available. 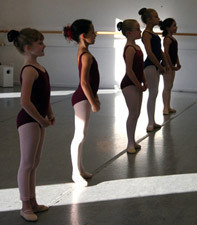 To learn more about California Contemporary Ballet, you can visit www.calballet.com or call (818) 790-7924. 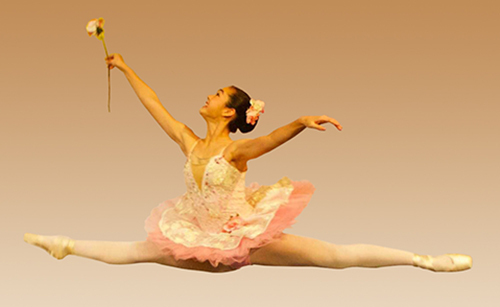 Kick off the Spring season with a dose of fairy dust, as California Contemporary Ballet performs Thumbelina at Glendale Community College this June 29 and 30. Adding to the company’s tradition of performing Hans Christian Andersen classics, California Contemporary Ballet’s adaptation of Thumbelina is designed to appeal to both young and adult audiences. “We perform two big productions a year. Our biggest production is the Snow Queen Ballet which we perform every December at Glendale Community College and then we deliver a spring show, featuring members of our professional company, which is normally a much smaller production, and usually features choreography that is experimental and contemporary,” says Aerin Holt, the Company’s Artistic Director. “This year, we decided on a spring performance that would provide opportunities for our professional dancers to perform the principal characters within the story and cast members of our Youth Company in supporting roles. Students from the associated school, California DanceArts were given the opportunity to audition for roles and some of the children were cast in roles of Dew Drops and Younger Fairies. We found that the young dancers really benefit from working along-side more experienced dancers.” Holt explains. “What’s a story about Fairies without young children,” she adds. Just because the story is about a diminutive fairy, does not mean the production will be. Holt also tells us that aside from her direction, the production also utilizes the talents of guest choreographer, Lynn Bryson Pittenger. “She’s working on certain areas of the ballet and that’s going really well and she’s great to work with,” says Holt. Ballet fans will notice that Thumbelina is not your typical ballet production. Far from the usual Romeo & Juliet or Nutcracker Suite performances, the Company decided to be a little more adventurous. Why choose Thumbelina? “Thumbelina is a story that I always felt would make a great ballet. As a young dance student, I often daydreamed about Thumbelina dancing in her giant tulip. I envisioned huge flowers and toadstools but was unsure how I would be able to develop all that I envisioned on stage. Through the years of creating choreography and directing ballets my ideas have evolved. Dwight agreed to compose the music and volunteers came forward to create the huge set pieces. The time is right and everything has come together nicely,” says Holt. Many might think that Thumbelina will be geared towards younger audiences, but Holt tells us otherwise. “The more I’m working it, the more I really, really love how it’s developing. Together with the choreography that we are developing and with Dwight’s music that he’s producing for us and the talents that we have on the stage, this is a really cool ballet,” she says. Tickets are $20 to $30 and can be purchased at www.calballet.com. Group tickets are also available for purchase. Glendale Community College is located as 1500 N. Verdugo Road, Glendale and show dates will be on June 29th at 7:30 pm, and June 30th at 2:00 pm. 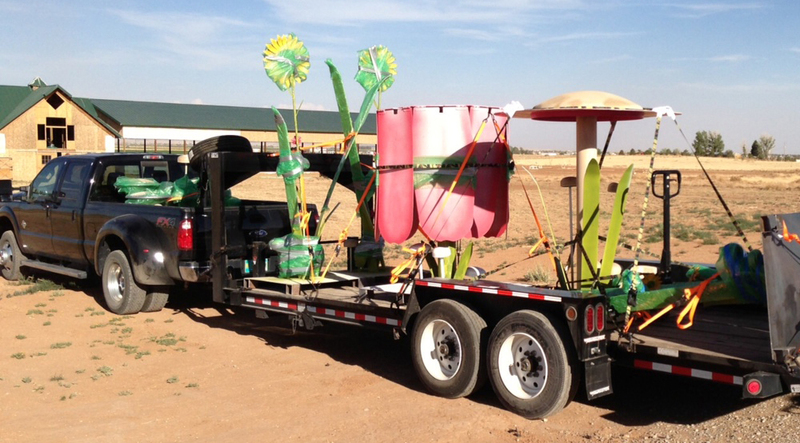 The surprises continued when she received an offer from a family member to make the large flowers using scrap metal from his property in New Mexico. A series of conversations ensued about the design of the set pieces, ultimately leading to the creation of ten-foot tall flowers, five-foot toadstools, and the famous tulip from which Thumbelina is born. The newly-designed tulip will operate by means of a hydraulic system, enabling its petals to open at the appropriate moment. To crown the bright reality of Ms. Holt's dreamed-of set, these expensive pieces were offered as a donation, giving Ms. Holt the impetus needed to go forward with her production immediately. Tickets are $20–$30 at http://calballet.com/tickets/. Group tickets are also available.